In 2013 the Transparency Directive, which sets rules on harmonisation of transparency requirements of issuers, was amended to include among others a requirement for issuers on EU-regulated markets to prepare their annual financial reports in a single electronic reporting format. The European Securities and Markets Authority (ESMA) was assigned the responsibility to develop regulatory technical standards (RTS) to specify this electronic reporting format. The objectives of the provision are to make reporting easier for issuers and to facilitate accessibility, analysis and comparability of annual financial reports. The European Single Electronic Format is the electronic reporting format in which issuers on EU regulated markets shall prepare their annual financial reports from 1 January 2020. Starting from financial reporting of 2020 all annual financial reports shall be prepared in XHTML (eXtensible Hypertext Markup Language). Where the annual financial report contains IFRS (International Financial Reporting Standards) financial statements these shall be labelled with XBRL (eXtensible Business Reporting Language) tags. The seminar is aimed at Finnish issuers with the aim to increase their awareness on the requirements of the ESEF-ESMA mandate. The seminar will provide an outlook on how XBRL facilitates financial reporting by rendering unstructured data into structured, machine-readable data. The seminar includes keynotes from the Financial Supervisory Authority (FIN-FSA), ESMA, and Nasdaq. The seminar is organized by the FIN-FSA and co-hosted by the Real-Time Economy program and XBRL Finland. XBRL Finland has setup a working group to assist Finnish issuers in the transition to this electronic filing. The working group had its first meeting in February 2018. Prior to the main seminar, starting at 10 am, participants have the opportunity to discuss with service providers and see demos of their solutions. 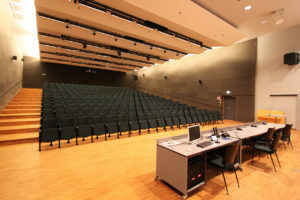 These sessions will be organized in four smaller seminar room close to the main seminar room. These sessions are mainly targeted to issuers. Please take this opportunity to get a hands-on experience on how financial statements can be tagged and data converted to XBRL-format. There is no separate registration for these sessions, we’ll send out more information closer to date. If interested, please reserve also this time slot from your calendar! The main seminar starting at noon is free of charge, but requires registration (please note that more than one participant will be accepted from one single organization). Sign up for the seminar here. The pre-seminar at 10 am is also free of charge, please register to the pre-seminar here. The venue of the seminar is Aalto University, located in Otaniemi, Espoo. The room is TU2 and it is located in the TUAS-building (address Maarintie 8). There is a newly-opened metro line that connects Otaniemi to Helsinki city center.